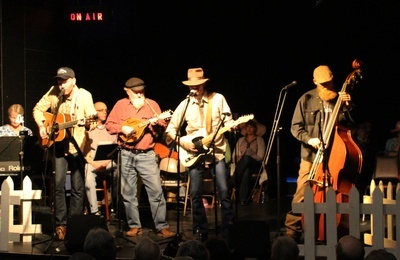 The Medicine Brothers is a mostly acoustic family band that specializes in Folk, Bluegrass, Honky Tonk Country and Americana using acoustic guitar, upright bass, mandolin, and vocals. The band's visit to Lanesboro will include performances on "Over the Back Fence," as well as at the High Court Pub. The band consists of Shawn Neary, Jamie Waggoner, Sandler Waggoner, & Uncle Mike Richardson. The seeds of the Medicine Brothers were sown in Owen & Vigo County, Indiana. Jamie & Sandler grew up in Terre Haute within sight of the Wabash river a couple blocks off of Highway 41 and Highway 40. Half the family lived in the country and thats where Uncle Mike comes in. Between 6th St in Terre Haute and Rattlesnake Road in Owen County, the Richardson and Waggoner families would get together, circle up, and spend the weekend picking the tunes their parents picked, playing the songs they heard on the records of their grandparents, and writing a few of their own. They all discovered Viroqua and the Driftless in their own time, where their paths crossed with Shawn Neary, Iowa born, son of the middle west. Shawn's life long deep love and reverence for music led him to become proficient on more than a few instruments, but an upright bass sings in his hands. 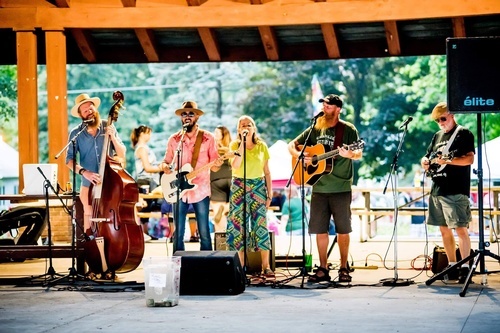 They began playing together in a second floor apartment, and shored up their songs in bars and bonfires throughout the Driftless Area & Vernon County Wisconsin. They are now a band of four- Uncle Mike on the mandolin, Jamie on acoustic, Sandler on Telecaster & acoustic, and Shawn on upright bass. They all sing, and they like to sing together when they can.